Lambeth Living are on target to bring 2,050 homes up to the LHS in 2013/14. They have concentrated on making internal improvements and by December last year had installed 895 new kitchens and 895 new bathrooms and modernised the wiring in 857 homes. They are now improving the outside of tenants’ and leaseholders’ homes, installing new windows and doors and repairing roofs, whilst continuing internal works. 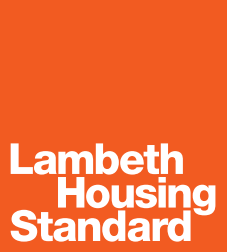 Over the five-year programme all Lambeth estates will be brought up to the Lambeth Housing Standard – we’ll post updates affecting Brixton Hill here. This entry was posted in Blog and tagged housing, Lambeth Living by Martin Tiedemann. Bookmark the permalink.